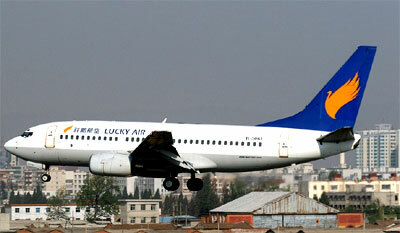 Founded in 2004 with headquarters in Kunming, Yunnan, China, Lucky Air China is a low cost airline in China with base at Dali Airport. flights to the following cities :- Lucky Air currently operates scheduled flight services from Dali to Kunming and Xishuangbanna. The airline also has plans in expanding its flight routes to other areas of China.